Seating is limited for this free event, so best to register today! 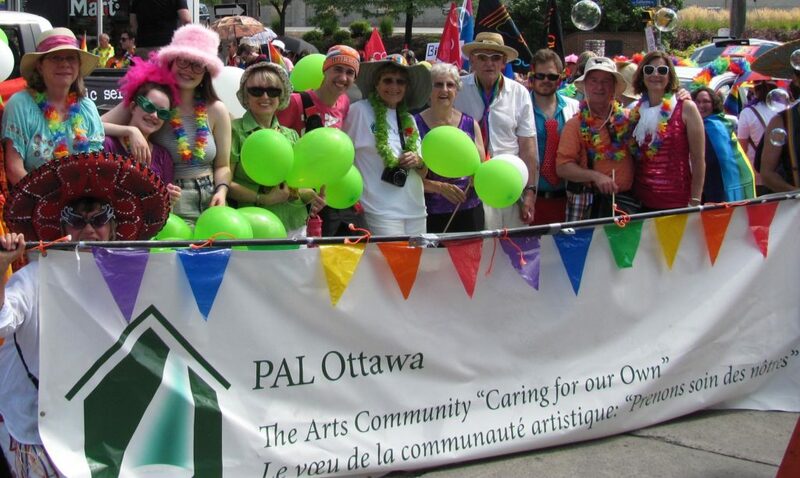 PAL Ottawa is a vital resource for arts workers in all disciplines who, due to age, low income and, in some cases, disability, struggle to maintain a decent existence in their senior years. Like other PAL Canada chapters, PAL Ottawa is working to build affordable housing for Senior Arts Workers in a creative community hub while offering personal outreach support through our Supporting Cast Program. Arts workers include all those who work or who have worked as Actors, Musicians, Visual, Written and Spoken Artists, Technicians and Administrators for a substantial portion of their professional careers. PAL Ottawa’s Supporting Cast Program is expanding its capacity to assist senior members of the arts community to retain their independence while living in their home. We are offering a training program for new Volunteers and are seeking new Clients who might benefit from the assistance of our Supporting Cast Volunteers. Our Volunteers are trained to assist arts workers in need with the challenges of daily living. Our confidential volunteer services include companionship, running errands, transportation to appointments and events, and connecting clients to community and housing agencies, health care providers, and the wider arts community.